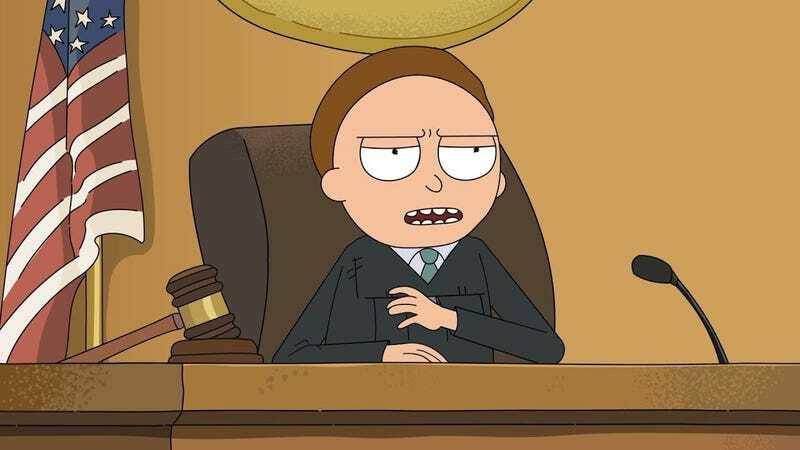 The team at Rick and Morty caught wind of this insanity and did their own re-creation for San Diego Comic-Con back in July, featuring Morty as the Judge and Rick as the world’s most vulgar defendant. After fan-postings of the animatic went viral, Adult Swim released an official version of the film shown at SDCC. Justin Roiland, who is the voice of both Rick and Morty, does a bang-up job with his line reading. And the extra animations really add to what is already a truly laugh out loud experience.